Nigel Jones has been shooting (in the photographic sense) a great series of photos of the Southern Silver-stiletto (Therevidae: Cliorismia rustica) and its habitat. Visit Jonathan Neal's blog to see a superb close-up by Fabrice Parais of the delicate, feathery respiratory hairs at the tip of a soldier-fly larva. The photo won an honorable mention at the 2014 Nikon Small World photographic competition. Newsletter no. 2 for the Soldierflies and Allies Recording Scheme has now been distributed to DF members, and is also available to download or read online. "British soldierflies and their allies" now published! The much-anticipated second edition of "British soldierflies and their allies" has now been published – hurrah! 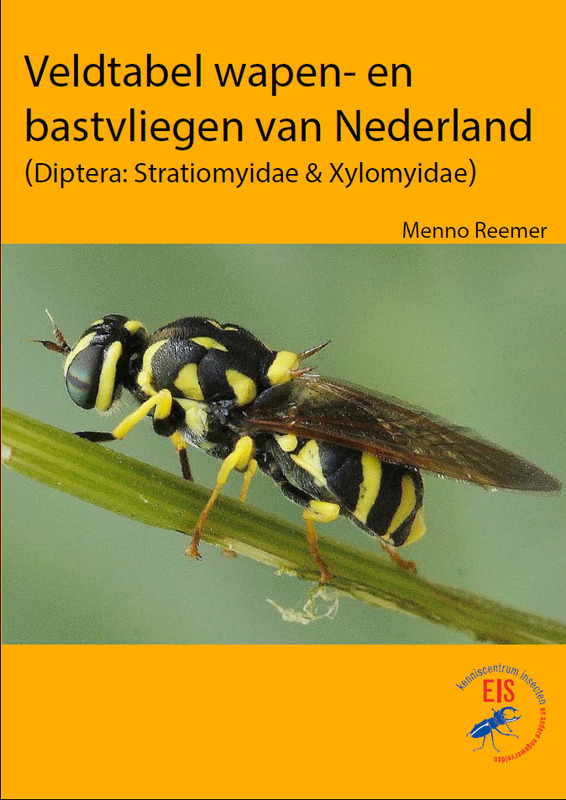 Read more about "British soldierflies and their allies" now published! The recording scheme guide to bee-flies in genus Bombylius (PDF download) has been updated this month to include some extra photos of the Western Bee-fly, Bombylius canescens. Some really excellent photographic identification guides have been produced recently by our colleagues in the Netherlands. It's not every day that snipe-flies (Rhagionidae) get featured in the press, but here is a nice article about the Golden-backed Snipe-fly (Rhagio thoracicus), an American species. (Thanks to Ruud van der Weele for passing on the link via Facebook. Bee-flies are probably the most familiar of all the species covered by this recording scheme, and now is the time of year when many people notice the Dark-edged Bee-fly in their garden and wonder what it is. Have just added a new page to the website describing the various routes for sending in records to the recording scheme. Please get in touch if you have any questions, and please do send in your records! Matt Prince has just posted an observation on iSpot that looks very good for the Large Fleck-winged Snipefly, Rhagio notatus. This species is more frequent in the northern half of Britain, and although there is one record in each of West Cornwall and South Devon, this looks like being the first for South Somerset.